A first-person adventure game with logic puzzles, developed by the creator of Braid – Jonathan Blow and his independent studio Number None. The game takes you to a large, mysterious island, whose all inhabitants vanished without a trace. 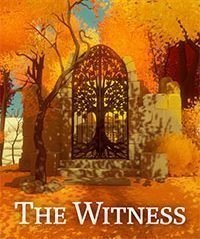 The Witness for PC, PS4 and etc. is a first-person adventure game that puts emphasis on solving puzzles, which is similar in this regard to the classic logic-adventure games series entitled Myst. It was created by independent studio Number None founded by Jonathan Blow, who previously developed one of the most interesting logic platform games in recent years – namely Braid, released in 2008. Initially, the title was designed for different platforms, of both current and past generation, but ultimately it came out for PC and PlayStation 4, and a couple of months later also on mobile devices. The game is set on a pretty large island, which you can explore freely in search of puzzles to solve. The island is very mysterious and, despite many traces of someone’s presence, seems completely deserted. As you find more clues (e.g. audiologs) hidden here and there, and solve various new logic puzzles, you learn more about the place itself and the island’s secrets. The Witness uses FPP view, and the gameplay focuses on exploration (on foot or by boat) of every nook and cranny of the island, finding various hints, and solving logic puzzles in order to lower a bridge, activate a mechanism, open a door, etc. Similarly to the aforementioned Myst games, The Witness for PC, PS4 and etc. requires logical thinking from the player, but there's more. As you explore the island, you have to prove to be remarkably patient, observant, and able to connect seemingly unrelated elements of the story. Many things here have a secret meaning, and the key symbols, hints and markings that let you push the plot forward are smartly hidden within the game’s environment. What makes things even more difficult is the fact that there is no hint system for the player, so you can only count on yourself. Unlike Number None’s first game, which was fully 2D, The Witness for PC, PS4 and etc. offers simple, but very charming 3D graphics. What's more, using first-person perspective allows for even greater immersion in the game’s atmosphere. This guide for The Witness will provide you with all information necessary to complete this difficult logic game. Simple solutions to puzzles is not the only thing that you will find here. Colorful graphics, couple of hundred of riddles, narration through environment, and, at times, extremely high level of difficulty is the Braid's author's recipe for the perfect logic game. But such a meal my not be digestible for every player.